On June 28, 2011, Governor Bobby Jindal signed S.B. 189  into law, adding Louisiana to the growing list of states (thirty-one plus the District of Columbia as of January 2, 2012) that have enacted strong youth sports concussion safety laws. Prohibiting a youth athlete from returning to play or practice unless cleared by a licensed health care professional trained in the evaluation and management of concussions. Private clubs, public and non-public elementary, middle, junior high, and high schools. Youth athletes and their parents/guardians must sign a concussion and head injury information sheet as a condition of participation of the athlete in any athletic activities. The coach, athletic trainer, or official determines that the athlete exhibits any concussion signs or symptoms or suspects that the athlete may have sustained a concussion following an observed or suspected blow to the head or body [remember: an athlete can sustain a concussion even from a blow to the body if the force of the blow is transmitted to the head]. any other licensed, registered, or certified individual (e.g. neuropsychologists , certified athletic trainers ) whose scope of practice includes the recognition of concussion symptoms. Return to play: If the athlete is removed from play and the signs or symptoms cannot be readily explained by a condition other than concussion, the coach must notify the athlete's parent or legal guardian and is prohibited from allowing the athlete to return to play until he or she has been evaluated by a health care provider for a full or graduated return to play . Follow-up: After an athlete has been allowed to return to play after a concussion, the club, school, recreational facility, league or organization may allow a licensed athletic trainer with specific knowledge of the athlete's condition to manage the athlete's graduated return to play. Immunity: The law does not create liability for or a cause of action when the requirements of the law have been met. On June 28, 2011, Governor Bobby Jindal signed S.B. 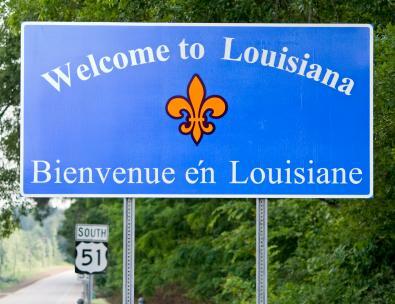 189  into law, adding Louisiana to the list of states (twenty-eight as of September 1, 2011) that have enacted strong youth sports concussion safety laws.